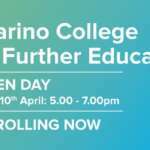 Marino College | Part-Time Courses and Evening Classes. Marino College provides part-time and evening courses. Our part-time day and evening courses for 2019 will commence in January. Postal Enrolment forms can be found on our website – http://www.marinocollege.ie/second-level/evening-courses. Nightcourses.com is Ireland’s leading online database for course listings in Ireland. The site hosts and promotes further learning courses at Marino College in Dublin. Search Nightcourses.com today and find what part-time course and evening class you’d like to enroll in to help you upskill. Marino College boasts a wide range of eclectic courses that are flexible. Marino College seeks to encourage a caring and an open community through developing the whole person to his or her potential. The collected energy of all concerned with the College is constantly focused on maintaining a centre of excellence. Marino College was established in 1936 and has a long and proud tradition in education. Our Tutors have developed much valuable experience over the years in ensuring our learners achieve to their highest potential in QQI Level 5 and Level 6 Awards within a caring and supportive atmosphere. Introduction to Hatha Yoga with tutor Petra Paulo The course covers:  Postures.  Breathing  Relaxation. While the college provides basic Yoga mats, students are encouraged to bring along their own.